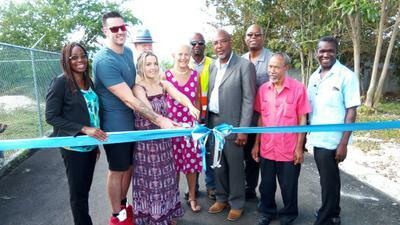 Photo shows.. USA couple Robert and Chelsea Pearson, cutting the ribbon to the newly paved roadway in Blacks Bay, Belmont Westmoreland, which they financed at the tune of over Jamaican $7,000,000 , the couple is seen here being flocked by Principal Of the Bluefields Basic School, Joy Baker (at left) and Member of Parliament for Eastern Westmoreland, Luthur Buchanan, Council Valence Gifford and other members of the Bluefields Environmental and Protection Association (at right) . There were waves of thank you showering down on Robert and Chelsea Pearson, the American couple who made it possible for residents in Blacks Bay, Belmont district, Westmoreland, to now be able to walk, run, and drive, on their newly paved community roadway. Hundreds of community members, including children, turned up at the Belmont Basic School, in Belmont, Westmoreland, for the recent launch of their newly constructed roadway. The newly paved road which stretches over half of a mile, from the Belmont main road, into the heart of the Blacks Bay community, as now being renamed "Pearson Lane" in honour of the generous couple. Robert and Chelsea Pearson, told our news team that they came to Jamaica right after getting married three years ago, and they fell in love with the community of Belmont. "We came on our vacation, and immediately we got drawn to the community of Belmont, and the residents of Blacks Bay," the couple said. "We then saw the need of the residents in area, and we then pledged to assist in every, and any way, we could." "Upon returning back home to the USA, we were contacted by the Bluefields Environmental and Protection Association, asking if we were interested in being a part of constructing this piece of roadway, that also leads directly to the Bluefields Basic School. We decided that this was part of our dream, and immediately pledged a cash donation of US$50,000." Member of Parliament for Eastern Westmoreland, Luthur Buchanan, was also present at the unveiling of the newly constructed stretch of roadway. He speedily commended the couple, while relating that, this is a very joyful moments, especially for the school community. "You know it is said that the road to development, is roads, and it is also said the best vehicle to transform a nation, is education, and we are standing at the entrance of the Bluefields Basic School, on newly paved road, and for this, we thank this generous couple", the member of Parliament stated. Mrs Joy Baker, principal of the Bluefields Basic School, also voiced her gratitude the generous couple. She told us that, this stretch of roadway will not only serve the community well, but is also a blessing to each and every student. "The stretch of road have been in a deplorable condition over the past years, especially when it rains. Due to the vast amount of mud, parents were forced to purchase water boots for their children, and some would even resort to tying plastic bags around their shoe, to avoid them getting covered in mud." "All this is now behind us. " the over joyed principal stated. "And thanks to the Pearson's, we are now long past those days." Councillor Valence Gifford, also shared in the moment of gratitude, and he was among the first to express his sincere thanks to the couple, for their multi million upgrading of his Division. The golden couple unveiling the Pearson Lane sign, (formally Blacks Bay main road) which was Re named in their honour. Thanks to the couple who has given so generously and thanks to Welesley for sharing this great story. 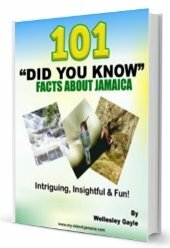 Keep uplifting Jamaica with these good news. "Well Done" to the Pearsons !! "All is not lost" with the world afterall! Good people like Mr and Mrs Pearson continue to show that there is still good in humankind. Thank you!! Thank you both who donate. That was really good. God Bless You Both and your team. Very nice. We still have caring people who wants to help the less fortunate community. Special thanks to the couple for their generous donation. Thank you MR Gayle for that important news. Keep up the good job! Wonderful news!!! Keep on, keep on reporting all the positives about our little island 🌴 there is always a lot of good happening but as said those news items don’t get preference. We just have to keep our head up Buddy and pray for better. Remember we didnt think we would live through the '70s with election crime and violence. No we are at a different level of crime and violence. Let's hope the tide change with these youths and our government and us, because we have to give back will find a way to keep them from this disillusionment that's hurting these kids. Peace and Love. Thanks Annekay! God's will, I will be sure to continue. Big things a gwann fi Jamaica!!! Thank you for your donation, in helping this beautiful island to be better for both you, we and me. For generations who have yet to come we thank you for your time, donation and kind consideration. This is great news and admirable of these two kind people a great act of kindness and charety. Like wonder why I didn’t hear it on JBN TVJ or any other news outlets. This is also a stark reminder of the condition of the Jamaica and its government and what they are doing for the country. Things are that bad that a holiday maker would were approached and made donations for the construction of this road. On behalf of Jamaica I take this time to say a very big thank you to that lovely couple. Although your good deed was not highlighted in the media don't stop what you are doing. God sees and knows everything and he will reward you as such. I am very sure that you have changed the lives of the Citizens from that community. Even if not for another community in Jamaica, continue to do your best to positively change the lives of people in whichever way you can. God bless and much love to you. Have a wonderful afternoon Wellesley and thank you for sharing. Thanks for sharing this good news, as you noted negativity sells, but we must speak to the truth that the high crime rate is not good for our country. We know that there are a lot of good being done by both Jamaican nationals and other philanthropist that should be highlighted and at the forefront of the news unfortunately I doesn't happen. However through platforms such as yours the word will get out. keep up the work, you are appreciated. This is such an awesome act of kindness. The world we live in still have people with such great gifts and acts of kindness but unfortunately we don't see or hear it often enough. Congratulations to the people of this newly paved road and especially the children that can walk now without being hampered by rocky road way so to speak. So many organizations and people do good things for our country - but you never hear about it. Nothing in the local press and forget the foreign press. Only the ugly and negative things get published. Big THANK YOU to our "adopted Jamaicans" for helping a community in need. Bless them. This is so true about the negativity which affects even us diehard Jamaicans. So often we go on vacation and have an amazing time with special memories. To be able to give back to the communities we visit is a special selfless gift. Well done! Hey,such great and very interesting news to share. 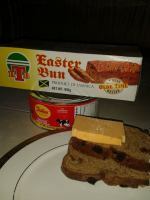 I am not from Westmoreland but I an surely a Jamaican, living in Portmore, St. Catherine. I am feeling so overwhelm right now, so you can imagine those person's who are experiencing that great moment in their community. Many thanks and more blessings on your life Mr and Mrs .......... I pray that God continually to bless you both. My sincere thanks for sharing this story. It warms the cockles of my heart. They may be $50,000 poorer but the community is way richer for their contribution. The Pearsons are my idea of good neighbors from across the seas. I must share on my Facebook. Thank you for a bit of good news! Keep it coming. Just maybe, this couple do not want publicity. Things are not always what they seem to be. I for one do things from the heart and would rather remain anonymous. I Totally agree with you Wesley. Perhaps, they do not want the couple targeted because they are foreigners. If they had setup a charity, then it wouldn't be personal. Because organization isn't usually targeted. But because it's a personal donation of such a large amount of money, they would be easy targets for criminals. It would be nice to share it with the world the good deeds one is doing, but unfortunately, it can make you a prime target for scammers and other criminal elements. Good Day. I feel exactly as you do. I question the motives of the journalists and reporters as they largely control what we see and hear in the main stream media. They have this idea that they are giving the people what they want...who did they ask? They didn't ask me, or you obviously!! Generosity comes from the heart, through God. If you are able to assist people in any way, whether by manual labor or finance, do it. You will be thoroughly blessed! Greatness seems to be overshadowed due to the small percentage of world's evil. Although the percentage of evil is low it is so devastating and earth shattering. Goodness will always prevail over bad! !